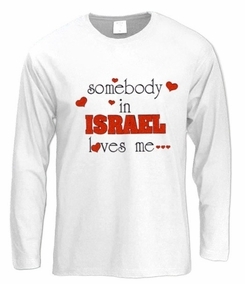 Vintage design for a cool Israeli shirt. 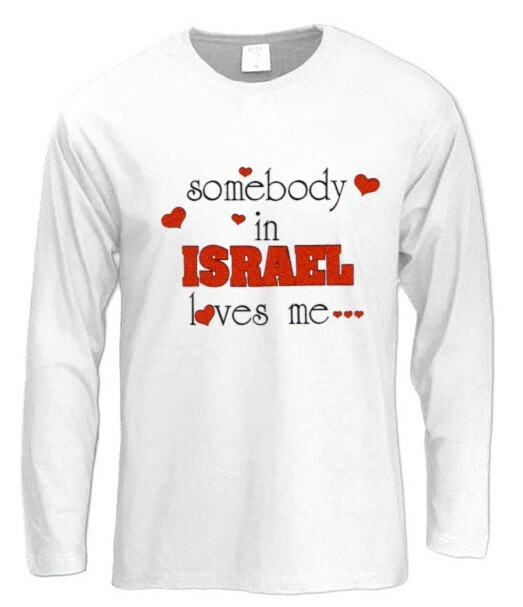 It makes a great gift; on the front is a high-quality print which says "Somebody in Israel Loves Me", with red hearts decorating the shirt. Our t-shirts are made of 100% cotton and are long lasting with bright colors. Our products are all designed and printed in Israel.